In an increasingly fast-paced world, Harcourts Scott Bay knows that while people want a professional efficient service, they still prize the fundamentals of honesty and integrity from real estate consultants committed to achieving their clients’ goals. That’s why at Harcourts Scott Bay we combine world-renowned technology, training and systems with a focus on establishing trust and respect with our clients who always remain at the centre of the process. Whether you’re buying, selling or renting residential or commercial property or land, at Harcourts Scott Bay we’re proud to say we put the focus on Global. National. Local. and most importantly, You. After school I studied and became a Teacher, did my National Service in 1991 and then followed my Teaching career from 1992 to 1999. After owning a Lodge for 3 years, I entered the Real Estate Industry in 2002. For the last 13 years I have been involved in Residential, Sectional title, Commercial Sales and I have also been doing Property Management for more than 10 years. I started as a rookie, working my way up to top achiever in the organization, I knew this was for me and bought in to the business. My passions are my family and my people. I believe in doing things right the first time and doing the best that I can at all times, with my talents and abilities. I love golf, fishing and the outdoors. I enjoy the daily challenges our industry brings. I lived in Gauteng and moved down to Scottburgh in 1999. My wife Azelle, is my business partner and we have built a real estate business on trust, integrity and honor by caring for our team and clients. The Harcourts affiliation defined our aim through its values: “People First – Doing the right thing – Being courageous – Fun and Laughter”. Values, which I live by daily. 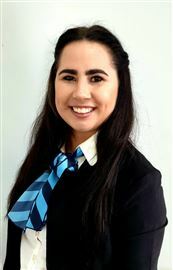 Carine has recently joined Harcourts Scott Bay. Having had 20 years of experience in local government. I have a great commitment working with people and will always do my best to accommodate potential clients. She also runs a self-catering guesthouse in Pennington. Hi my name is Caroline. I have lived in the greater Scottburgh area all my life, and I have lived in Scottburgh for more than 20 years. 3 years ago I made a brave change to my life and decided to broaden my skills and become a Harcourts agent. It has been a special adventure. In an increasingly fast-paced world, Harcourts Scott Bay knows that while people want a professional efficient service, they still prize the fundamentals of honesty and integrity from real estate consultants committed to achieving their clients’ goals. That’s why at Harcourts Scott Bay we combine world-renowned technology, training and systems with a focus on establishing trust and respect with our clients who always remain at the centre of the process. Whether you’re buying, selling or renting residential or commercial property or land, at Harcourts Scott Bay we’re proud to say we put the focus on Global. National. Local. and most importantly, You. Karen has spent many years working in the service industry where the customer is definitely the most important focus. She has learnt to identify customer needs and to make sure that these needs are fulfilled. 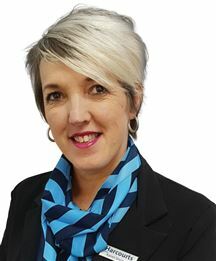 Karen joined Harcourts Scott Bay as a Rental Agent and has made it her priority to give world class service in her endeavour to give landlords the assurance that they have made the right choice in giving her their properties to manage. 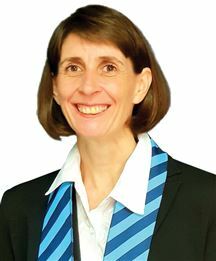 She has since moved over to being a Property Consultant and this very challenging career gives her great satisfaction as she works very closely with her clients. Natascha grew up in Scottburgh and has recently moved back after living in DBN for 10 years. Natascha has a passion for this little town and the people in it. She has been in the sales and marketing industry for most of her working career, she is a people's person who values integrity and professionalism. Natascha prides herself in always offering the best possible service, and maintaining her clients needs as a priority to build long lasting business relationships. 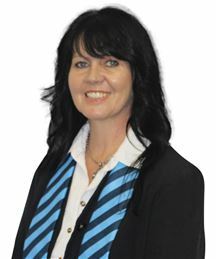 Michelle Raw, is a Rental Agent for Harcourts Scott Bay in the Scottburgh area. She has lived in Umkomaas since 1988 and has called Umkomaas her home. She has been in the Real Estate Industry for the past 9 years as an Administrator. Her experience as an Administrator and Finance, along with her commitment to professionalism and integrity, insures that she can help you find the best home for YOU. She is committed to helping clients. It is her goal to assist you with knowledge and professionalism. Just move in - SOLD Furnished! Land with beautiful sea views! Priced to sell - Scottburgh!